We had a blast with the kids at my parents annual Easter Egg Hunt. After the kids raced through the backyard to grab the plastic eggs filled with prizes, we geared everyone up for real egg dying. 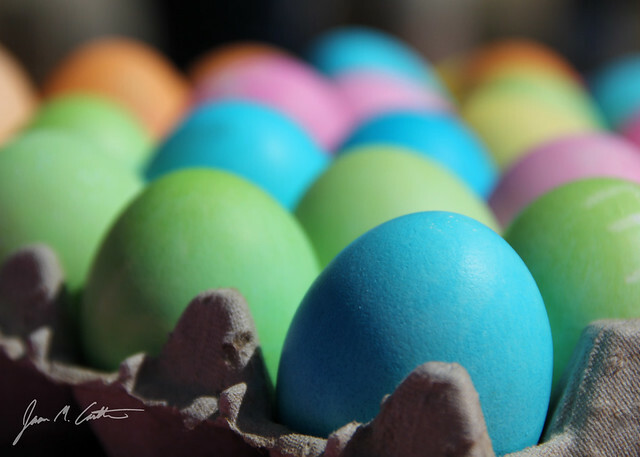 Here’s the result of six kids, four dozen eggs, and a dozen cups of colored dye. Happy Easter to everyone. Hope it’s great. Thanks. Hope you had a great Easter, too.